This article originally appeared in the October 2001 issue of GammOnLine. The long-term goal of the serious backgammon player is to improve. The enthusiasts read books, subscribe to magazines, analyze their matches with state of the art software, and follow the games of the champions. The fruits of their labors are revealed in the heat of battle; head to head, on the chouette table, or in the tournament arena. Whether the game is played for kudos, money or pleasure, few people find losing an enjoyable or rewarding experience. Some take consolation that on any given day there are always winners and losersbetter luck next time? Others need to pinpoint the reason through a postmortem analysis. Sometimes our expectations of victory are confounded by the luck of the dice. On other occasions our relative lack of skill, or comparative inexperience is to blame. Perhaps more often, our fate has been determined by carelessness or a momentary lapse of reason compounded by the pressure of competition. Whatever our skill level, no doubt we have all experienced the exasperation when our attention has been drawn to a basic conceptual blunder. The position is re-established and the correct move or cube decision is blatantly obvious. How could we have committed that blunder, again? Some might rationalize the error"he who cannot make a mistake cannot make anything"; "mistakes are all part of the learning experience". Others need to insure that they will never commit such a routine blunder again. The immediate goal of the serious backgammon player is to play at their optimal performance, when it countshere and now. The game of backgammon often mirrors the dramas of life. We enjoy good days and we suffer "bad-hair" days. Why do we experience these highs and lows? How can we play at our best one day and so poorly the next? Perhaps its a general lack of focus, too many distractions vying for our attention? Maybe its due to the added pressure or stress of formal competition? Its not uncommon to hear players lamenting the fact that they never seem to play well in tournaments despite enjoying success in the side-action, or complaining that they had gone on tilt in the finals after playing brilliantly through the preliminary rounds. Its one thing to possess the powers of vision and counting, its another to be able draw from that knowledge, to harness and deliver it, when it countsover the board in a crucial match. Episodic inconsistencies in performance are not confined to the world of backgammon. Athletes, musicians and artists have been grappling these incidents since time immemorial. Since the late 20th century a distinct body of literature has developed which attempts to address this classic phenomenonthe documentary lore of Flow. 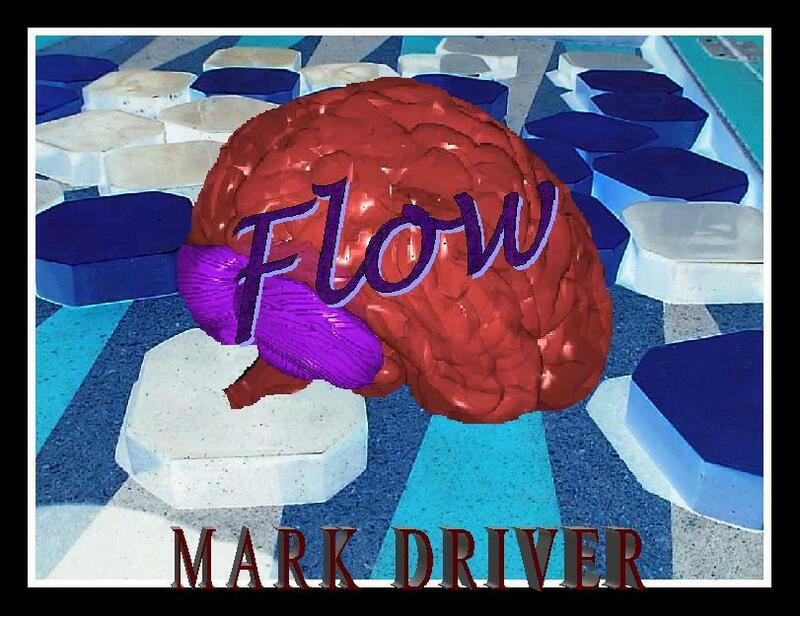 Flow may be perceived as a fuzzy, arcane, or dubious metaphysical concept. Yet change the epithet into the vernacular and the imagery becomes strangely familiar. The flow state wears many colorful labels "in-synch", "in the zone", "focused", "cooking with gas", "hot to trot", "cruising". No doubt we have all experienced flow on numerous occasions whilst engaged in various social or competitive activities. On our good days we feel pumped, psyched, confident, and invincible. We feel at one with what we are doing, our hearts and minds glow in tune to an inner harmony. On these rarified occasions, playing at our best just seems to happen. Flow makes its appearance during those activities that give us pleasure. In a state of flow everything seems right, easy and automatic. Flow is a harmonious union of action and awareness. The person is totally aware of the activity they are involved in, yet unaware of the awareness. As soon as the beholder reflects consciously on this awareness, the Flow State is easily lost, either temporarily or permanently. Flow manifests when we act with total involvement, when action follows upon action in a unified current from one moment to the next without the need for conscious intervention. In Zen speakflow results when the past and future are clearly abandoned until the "now" is all that remains. Getting back down to earth, peak performance occurs naturally when the right internal conditions are present. Essentially, playing well or playing poorly is a reflection of the mental and spirituals state you are experiencing at the time. When we play at our best we feel great, so its easy to surmise that playing well engenders these feelings. But, the reverse is true; we play well when we feel well. In the flow state, goals and objectives become crystal clear, we are in tune with our activity. Our minds asses the challenges before us, swiftly, accurately and efficiently. Analysis, decisions and actions mesh fluidly in a continual feedback loop that ensures and delivers our optimal performance. When the performance is over we return to a regular state of consciousness where time resumes its normal rhythm. Yet, we are still glowing, content that we performed at our best. Flow states can be elusive, many folks experience flow by chance or struggle to consciously recreate the condition. The key is to learn which mental and spiritual conditions are conducive to flow and to sustain the moment or regain the state when it evaporates. Could an awareness and understanding of flow states be of benefit the backgammon player? I'll let the reader decide, but firstly lets take a look at its potential applications and limitations. Flow will not miraculously confer to the beholder a sudden thorough understanding of probability or match equity tables. It will not arm the player with the foresight to predict the opponent's next roll. Flow cannot overcome factual ignorance. What flow can do is assist the player to deliver their best performance; to obviate silly blunders; to think clearly; and to preempt stressful situations which freeze the logic systems of the mind into a state of paralysis or sluggishness. To deliver consistently optimal performances the player needs to focus with an appropriate mindset. There is a big difference between playing a game for fun, and playing competitively. Typically, increased pressure is one significant characteristic of competition. Its salient to note that pressure is created within your own mind. A backgammon match represents a continuous series of problems, which the player must solve. There is far more to competition than simply knowing the right move or match equity at any given moment. A player's emotional response to the problems at hand can directly influence the outcome of the game. Competition pits adversaries face to face in a battle of wits and stamina. However, competition also pits the players against themselvestheir self-doubts, fears and inadequacies. Adversity is the true test of competitiveness. Triggering flow states may seem easy when everything is going to plan and the dice are hot, but when the dice are cool and things start to go awry its the mentally disciplined master who prevails. Success therefore demands a mastery of self-control. The mentally disciplined player is a consistent player and a formidable opponent. A diverse range of skills is necessary to ensure consistent optimal performance including concentration, visualization, motivation, attitude control, and pressure management skills. The consistent player is: Self-motivated; enthused; positive; realistic; calm and relaxed; self confident, not easily intimidated; and, at their best when the pressure rises. The consistent player is alert, and focused on the now. As in the tale of the Zen master, its important to be aware of what you should be, or are actually, focused on. When you are conducting a pipcount just count the pips don't dilute the focus by doing a pipcount whilst worrying about the fate of the match, or contemplating the meaning of life. When you are considering a cube action whilst drinking a coffee, smoking a cigarette and humming a tune, be aware that those are the activities you are actually doing. Note the difference and understand the inevitable implications for your performance state. The ability to sustain a continuous focus on the task at hand is central to performing well. Attention control is the ability to tune in to what is important and filter out what is not. Attention control stems from the right mix of calmness and positive energy. Players are likely to concentrate well whilst experiencing inner calmness combined with high levels of positive energy. Attention control is impossible if the mind is in turmoil. With the correct focus the player is mindful of what they are doing, and awareness and action merge. Analyses become automatic rather than labored. A powerful source of energy is unleashed within, flooding the player with a sense of well being and control. The player experiences a total loss of self-consciousness in a state of timelessnessthings begin to flow. Fear, tension, doubt and anxiety are banished, body mind and soul. Students of Zen perceive of no time, only the present. In flow states, past, future and present blend into one harmonious time flux, the "now continuum". The now is interrupted whenever a reflecting action of consciousness occurs. To sustain the flow state, the player cannot let the mind drift to distraction by anticipating success or defeat, or lingering on past mistakes. The focus must remain on the present, in the now. Paradoxically, trying harder to concentrate and focus can result in reduced levels of performance. Many athletes and musicians who consistently perform well are typically not trying to concentrate, their concentration occurs naturally when the inner conditions are conducive to passive concentration. Passive concentration is a state of automatic focus in contrast to active concentration, which is a product of deliberately trying to focus on a task. In passive concentration the mind is relaxed and at one with the task, the player has no need to think about concentration, the performance just flows naturally. When players try too hard they become so wound up thinking about every move or eventuality, that they neglect to play in the now. Similarly, when players dwell on past mistakes, they are often apt to commit even more mistakes. Eventually they psyche themselves right out of the game. The more one looks the more one sees, yet paradoxically trying too hard to solve a problem can result in analysis paralysis syndrome. The brain and body become tired, the mind confused, the heart disturbed and the spirit stressed. This can engender negative energy and a total severance from the state of flow. When athletes perform well they are experiencing an extraordinary awareness and have the ability to anticipate, and accurately read the situation and respond logically. Consistent performers are able to rely on their trained instincts to let go and play automatically. Playing by instinct is swifter and can foster spontaneous creativity. When a player gets bogged down struggling with analyses, auto-focus is deactivated and the player is no longer going with the flow. We especially need to deliver our best performance when playing in competition, either in the tournament or head to head. However, the very notion of competition is alien to Zen. In Zen the battle is always with oneself. When measuring performance solely based on the significance of the final score, the player is more likely to play poorly or lose self-control and confidence. In competition, ego is on the line, the player starts to worry about the consequences of losing or committing a mistake. Messages of self-doubt flood the mind, what will people think if I lose or make a silly mistake? Self-doubt works to make it impossible to play in a relaxed state, to attain the proper focus and to be positively energized. As soon as we start thinking about winning or losing, unlucky dice, reflecting on mistakes, negative energy returns and stems the flow. The concept of positive and negative energy has been contemplated for centuries by numerous Oriental philosophies. Positive and negative energy are manifestations of Chithe universal life force. Performing well is fundamentally linked to the presence of positive energy. Having fun and enjoying oneself is the key to becoming positively energized. When play ceases to be fun, performance may suffer. Great competitors enjoy playing the game; they love the challenge afforded by the competition, and remain positively energized throughout. Positive thoughts create the right attitude, a winning attitude. The mind is like a complex computer that requires programming. The output is a reflection of what was programmed in. Thus, the mind can be programmed for success or failure. The wise player should take time to determine how the mind is being programmed and strive to acquire the right attitude. Negative thoughts should be eradicated and replaced with constructive positive thoughts. Positive thinkers are better competitors. Positive energyjoy, fun, love, optimism, challenge = high level performance. Negative energyanxiety, anger, fear, hate, pessimism, frustration, greed = low level performance. I'm looking forward to the challenge to play the best players. I will enjoy the competition; I would rather be doing this than anything else. This is a great opportunity to shine. Objectively, my playing skill may be outclassed in the company of the others but I will not be phased, the stiffer the competition, the better I play. I love tough situations, the tougher the position the better I perform. I will keep mistakes to a minimum providing I establish the right internal mind set. I have made the choice to be positive. I will strive to give it my best shot to achieve the highest level of excellence I am capable of at the time. What am I doing here, I'm bound to lose, I'm totally outclassed in the face of the stiff competition. I can't wait to get the ordeal over. The whole game hinges on this one tough position, I hope I don't screw up and make a costly and embarrassing mistake. To win I must stop making mistakes I must play perfectly; mistakes will not be tolerated. I cant seem to get a break from the dice gods. Luck determines my fate in the game more than anything else does. I've tried being positive but it doesn't work for me. Paradoxically, trying hard not to get stressed, nervous or intimidated seldom works. Consciously trying not to allow negativity take control often results in low energy levels not positive energy. Rather, the player should condition the mind, decide how they want to feel and just do it. Self-discipline leads to self-control, which heralds self-confidence, which results in self-realization. Go with the flow and simply become the best you can be. Leonard, George, "The Ultimate Athlete", (Viking Press, NY, 1975). Schuhmacher, Stephan, and Woerner, Gerf, "The Encyclopedia of Eastern Philosophy and Religion" (Shambala Publications, Boston, 1989).